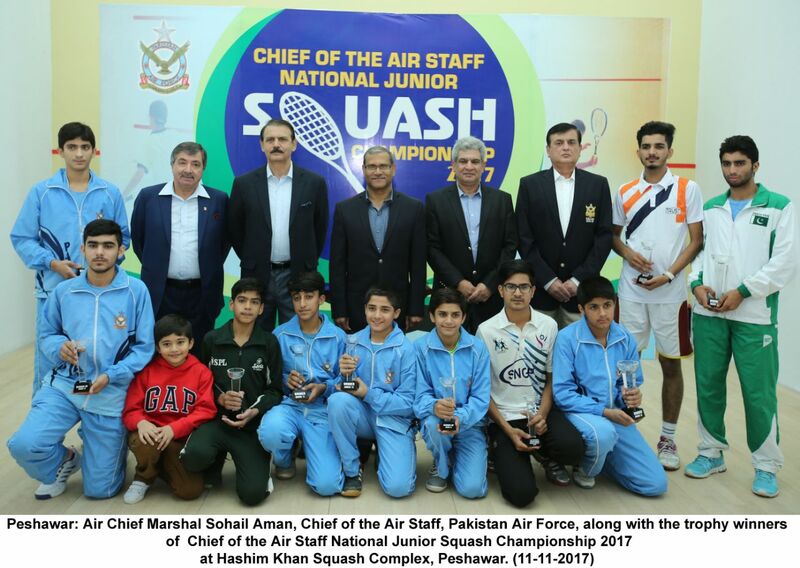 PESHAWAR: The Final Match and the Closing Ceremony of the Chief of the Air Staff National Junior Squash Championship 2017 was held at Hashim Khan Squash Complex, Peshawar. The Championship was competed by 200 players, including all national seeded junior players for the Age categories of Under 11, 13, 15, 17, and 19 years. 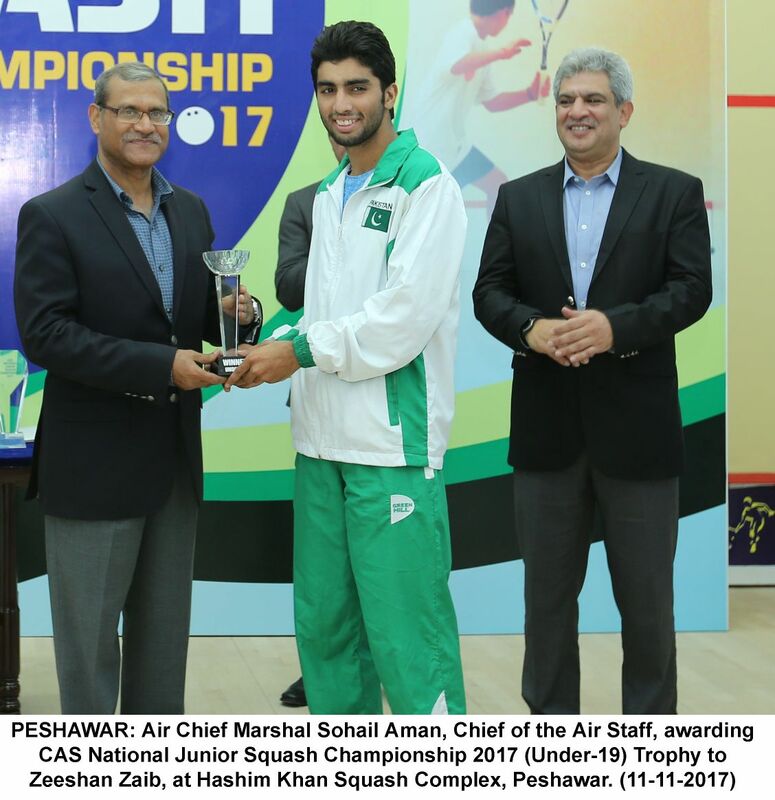 – U19: Zeeshan Zaib bt Ozair Rasheed – 15/13,11/5 & 11/4.